Powering Your Child's communication. Everyday! Avaz is a Picture and Text based Communication App for children and adults with communication challenges. Communication development "in the mess of daily life"
It's the only AAC app with simple, practical guidance for parents and educators, helping you extend AAC beyond therapy and into homes and classrooms. 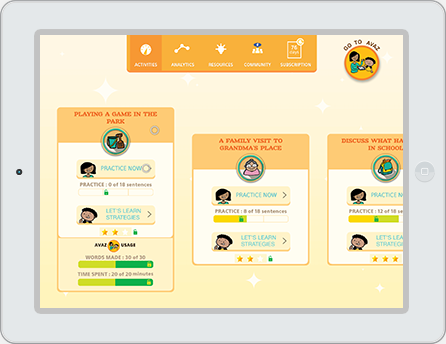 Grows with your child A graded, consistent and research based vocabulary that's fast and efficient. The "everywhere, every time" App Convert it to a book, so your child can use it even without an iPad! Fastest, easiest to personalize It takes mere seconds to add new words from your child's life into Avaz. 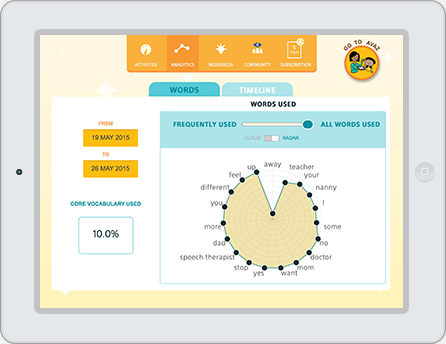 Teaches you your child's language Avaz shows you where to find words in the vocabulary so you can model effectively. Your child's progress come to life. Visualize the metrics that show you how your child is developing. 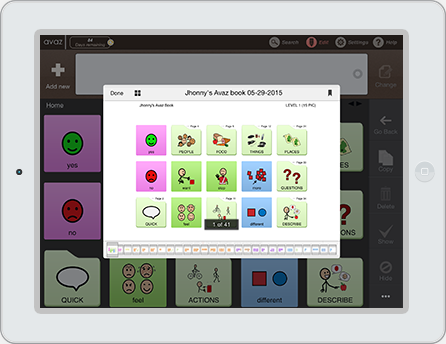 "Avaz Together is ..a really great way to skill up a team surrounding an AAC user, providing more opportunities for the user themselves to become more successful." "I am thrilled to see this app enter the app marketplace. It’s just what I need as an SLP in order to empower parents.."
"For folks who want to or need to take their child's communication experience past the therapist's time, Avaz Together may be just the tool needed!" 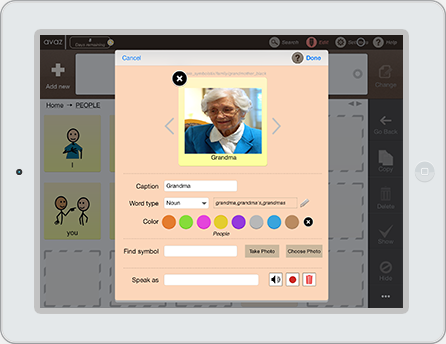 "Using AVAZ Together will help a user gain faster communication skills because a supporting adult is modeling communication and then the user gets to imitate!" Don't believe what we are saying! Hear it from others! Which is greater 43 or 81 ?